This hop is meant to feature a book you are so glad you read. As long as a book like that is featured, you can still give away gift cards. Multiple books and giveaways allowed. Maximum of 6 entries with only 1 required. Posts must be up by November 1st, 12AM EST or they will be deleted from the linky. The giveaway must be unique to this hop. 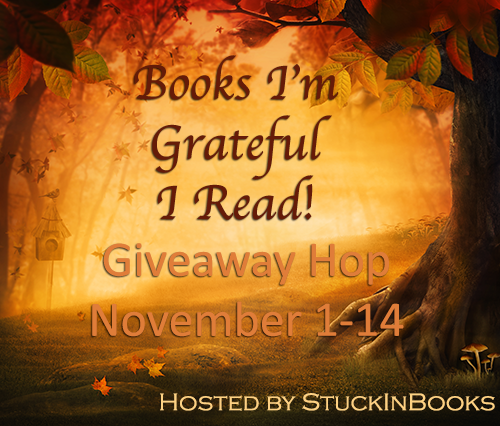 The post must include the banner and either the linky or a link to the post on StuckInBooks. If you are interesting in participating, fill out the linky below. Please include shipping restrictions as I have. #58 Book Liaison is (INT) sorry! #48 should be (U.S only) Sorry.